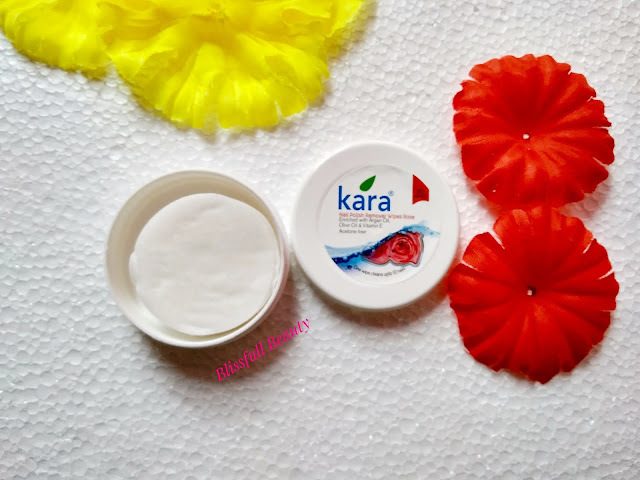 Hello everyone, after a long time I came up with a review of one of an essential product. 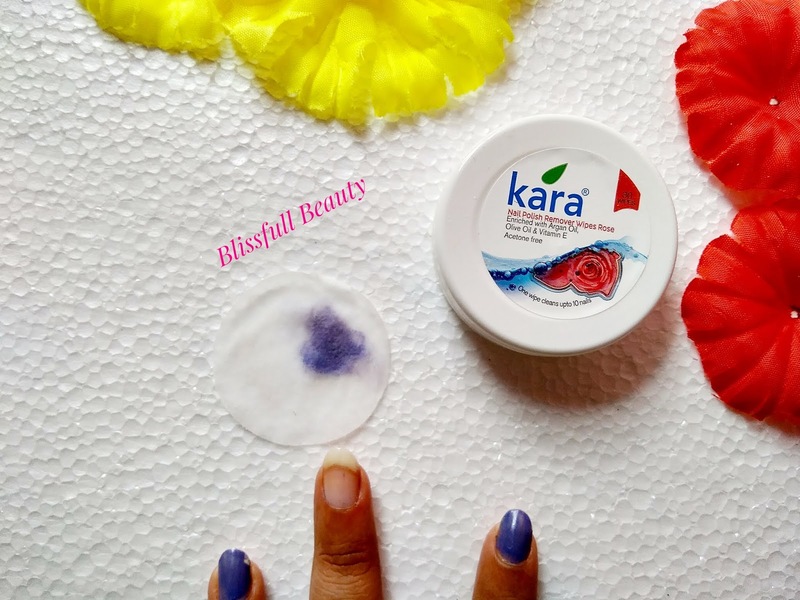 Today I am reviewing Kara Nail Polish Remover Wipes (Rose). Their nail polish remover comes with different variations. 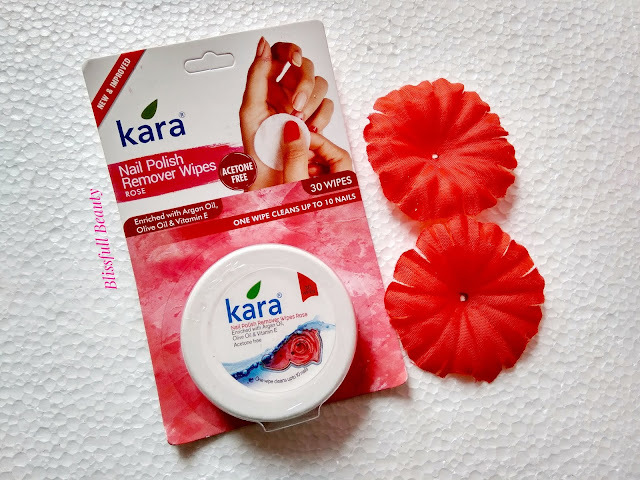 I am reviewing today rose variant which enriched with argan oil, olive oil, and vitamin E.
Each wipe contains acetone free formulation for effective removal of nail color, even the darkest shade, cleans the nails with a soft and gentle touch. Contains natural argan oil that prevents drying of nails and it's surrounding skin. 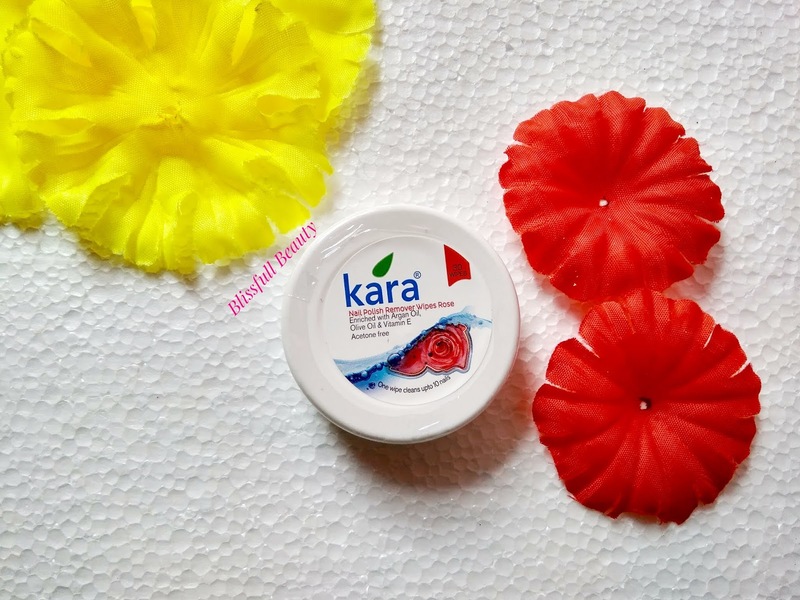 Enriched with skin nourishing olive oil and vitamin E, it has a delightful rose fragrance. This on the move pack has been designed for the convenience of use anywhere and any time. Kara Nail Polish Remover Wipes (Rose) comes white and pink combination cardboard packaging. Inside there a white color jar available. Inside the jar 30 white color wipes are available. 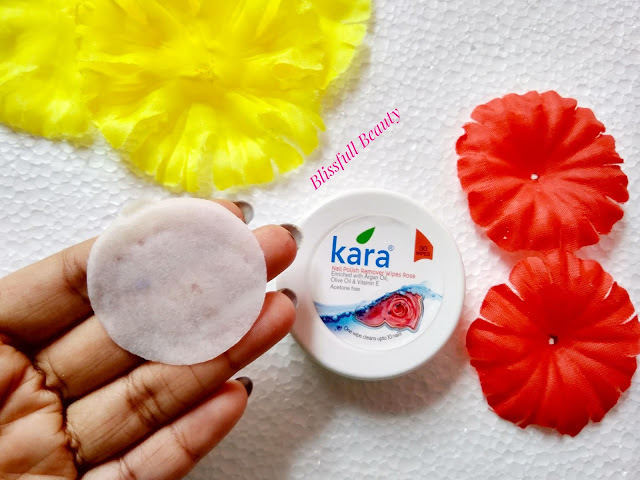 The wipes are very soft and smooth and Rosy fragrance which is amazing. These wipes are wet. Take out a wipe from the container. Close the cap immediately to prevent drying of remaining Wipes. Rub the wipes gently over nails to remove nail polish. One wipe can clean up to 10 nails. ➡Enriched with olive oil, argan oil, and vitamin. ➡After removing the nail polish nails are not dry out. 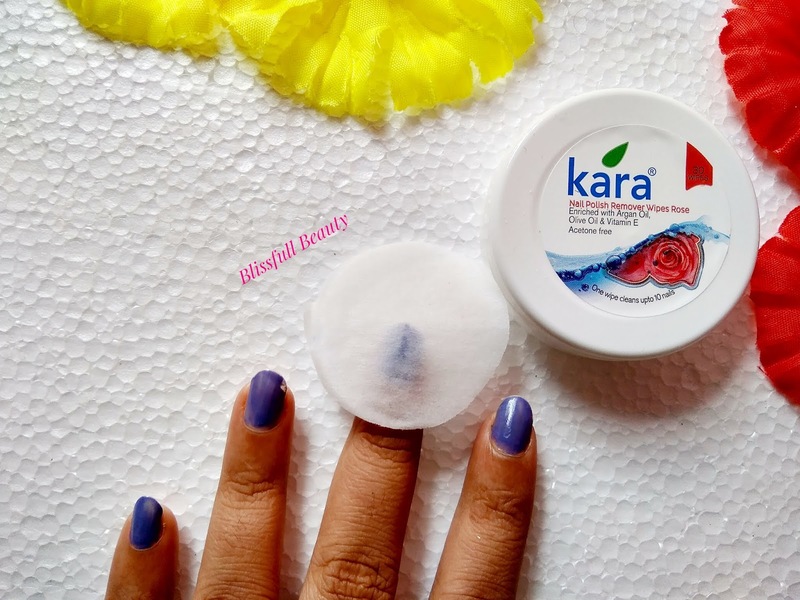 The wipes are wet and smooth texture which evenly removes the nail polish. The fragrance is nice which is not bothered. One wipe can remove nail polish of 10 nails. I liked the packaging which is handy and travel-friendly. If you are going to somewhere you need not worry to search cotton balls and nail polish remover. As it has contains wipes so it was not messy at all while removing nail polish. The best part of this nail polish remover is acetone free. I liked these nail polish remover wipes and recommended also.